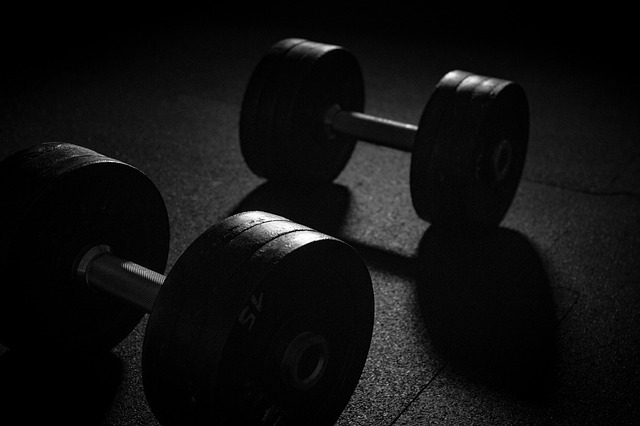 How many times in the recent weeks have you thought about hitting the gym and decided against it in the last minute? The state-of-the-art public fitness studios are not only costly, but they can be intimidating for beginners. The cheaper ones do not have all the fitness training equipment you might need for a full-body workout. They often lack dedicated trainers, who understand your strength and endurance. Going to a premium fitness club might not be the best idea if you are trying to save some money for the holidays. Did you know? You might never have to think about getting dressed, packing your bag and mustering your courage to hit a public gym ever again. All you need is some time and expert guidance to build your home gym. A home gym can be as good as a professional one, if not better than it. With the new era of ergonomic designs and home-friendly setup options, they do not take up considerable space as they used to even ten years ago. You do not need to dedicate an entire room or your basement for your workout equipment. All you need is enough space in your closets for stowing away the items once you complete the day’s regimen. How to build your private gym at home? Barbells are easy to find online, but we recommend going to a fitness equipment store and trying out the variants before you purchase. For beginners, the chrome plated, budget-friendly Olympic bars are perfect. However, if you have been training for a while and you lift heavy weights, then you might want to invest in stronger and sturdier versions that cost a little extra. The upcoming holiday season is ideal for going weight and bar shopping. You can get lucrative discounts on the items at your local equipment store. Running away might not be great for anyone, but continuing to run for 20 minutes about 3 to 4 times per week is excellent for burning excess fat. It is a cardio workout that is aerobic. Thus, it not only burns the fat, but it also helps in building lean muscles. While running, you must ensure that the exercise is beneficial for your body and you are not over-exerting yourself. It is difficult to provide that without fitness bands and monitoring devices. Investing in a wireless monitoring treadmill with a digital screen can be expensive for anyone, but renting them for long-term always makes sense. To know more about renting gym equipment for home use visit hirefitness.co.uk. Regular running and walking can become trite really soon. Although these are highly recommended workout plans for those with previous injuries and old joints, even they deserve some variety in their exercising routine. The elliptical cross trainer is fantastic but simple gym equipment that reduces the strain on the legs and enables whole-body workout. You should look for trainers with adjustable trainers and motion settings. Customisable ones are always better than the ones with patented movements. Cross trainer elliptical exercises can burn fat better than any regimen on the treadmill. Whether it is a regular workout routine or a new routine, a rower can help you burn more calories than other machines do. A rowing machine tones your muscles and gives you more energy for the rest of the day. A rowing machine is capable of burning close to 600 calories per hour, depending on the intensity of your workouts and the resistance of the same. Finding the comfortable position and optimising the exercises is not as easy on a rower as it is on a treadmill or a cross trainer. So, you might want to speak with a professional trainer, check out training videos and consult fitness experts at your local gym before you bring one of these mean machines home. A fully-equipped rower can be incredibly expensive, but you can always rent one for your home gym to see if you love the high-intensity, cardio workout that a rower promises. Have you always been a proponent of aerobic exercises? Have you always dreamt of riding a bike through the countryside on sunny days in your training gear? Biking outdoors breaks boredom and burns calories at the same time. Sadly, most of us live in the city, where biking is neither that pleasant nor safe. Home-based exercise bikes are the perfect settlement for the fitness enthusiast, with the soul of a wander. Having a fitness bike means you can always plug your earphones, and start peddling to the rhythm of your favourite jam. The best ones in the market come with heart rate monitoring options, body fat monitors and body mass index (BMI) calculator. Always pick one with customisable options for seating, handlebars, and computerised magnetic resistance systems. Hiring one will save you a fortune since the ergonomically designed, high-tech exercising bikes are not cheap at all. Apart from these training equipment variants, you should ensure that you have full-bodied mirrors so you can keep an eye on your posture while working out. Not bending your knees, the correct way can increase the impact to the legs, and do more harm than good. Setting up the home gym mirrors should be easy as long as you pick large ones of dimensions close to 4 feet by 6/7 feet. Placing them at 90-degree angles to each other will give you a complete view of your entire physique without creating infinite reflections. Being physically fit does not mean you have to be broke. You should work out smartly to save money, yet enjoy the same facilities your local gym gives you.